Hutt St Centre - a place of hope and opportunity, helping people facing homelessness to rebuild their lives, without judgement. Catherine House - providing supported accommodation services to women experiencing homelessness in South Australia, who are 18 years and older, and unaccompanied by children. MOSH - Minimisation of Suicide Harm offers psychosocial support via its two safe spaces where anyone is welcome on a drop in basis. Baptist Care SA - actively supporting people experiencing homelessness and South Australia’s most disadvantaged by supporting at-risk and vulnerable people to have access to the basics. Art pieces will be displayed at various cafe's in the City South Precinct of Adelaide during Fringe where many community services are located. 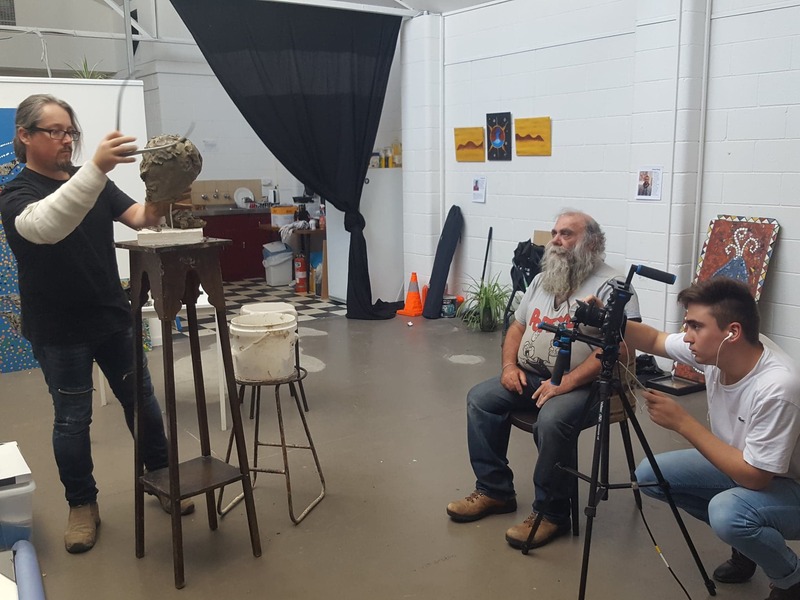 Photograph of Scott sculpting Bushy from Hutt St Centre, being filmed by Harvey from Real Deal Productions. Bushy is sharing his story for film whilst being sculpted. People don’t want charity, they want opportunity. We are all human, we all have a story and we all have value regardless of our situation in life. This is exactly what we had in mind when a group of us came together to create The Art of Being Human for Adelaide Fringe 2019. Through this platform we hope to bring opportunity and hope for those experiencing homelessness, to be seen, to be heard, to be valued and respected as members of our community, helping in the healing process and a pathway back to independence. Serafina, Founder and Creator of The Art of Being Human and Co-founder of Teaspoons of Change, lives and works in the community having many conversations and connections with those experiencing homelessness. She sees daily the struggle that people go through, yet amidst the struggle is beauty and resilience, a desire to be acknowledged and understood, to not be judged but listened to and accepted for who they are. Scott, Artist, Sculptor and Co-founder, Co-creator of The Art of Being Human. Scott see's healing through art, he has a unique ability to capture the essence of a person through sharing their story and portraying this is sculpture form, giving life to the persons journey, turning pain into art. Elizabeth, Founder Real Deal Productions and Co-creator of The Art of Being Human, Elizabeth is a story teller through film, she professionally draws a person into a safe space, breaking down the barriers to reveal the person inside and the significance of their life story, giving inspiration and meaning to their journey, validating their place in the world. Michael, Photographer and Co-creator, Michael captures the beauty of people through his lens and turns each person into a work of art, every line, every wrinkle, every smile is unique. Michael has the ability to make people feel relaxed and comfortable in front of the camera where they let go and it's in that moment Michael captures their art of being themselves. A true expression of The Art of Being Human. We would love to see this exhibition be a great success in 2019 and to grow and be a feature at Adelaide Fringe every year, but we need your help to make it a success. The brains and hands of The Art of Being Human have all volunteered our time and resources and would love others, who are able to contribute financially, to enable us have an positive impact on the people and organisations associated with this creative concept. 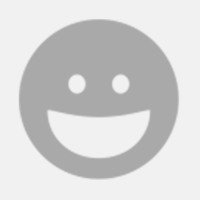 We would love your help to do this! Donate to our crowdfunding campaign by selecting a reward from the list on the right. To pay the people who are sitting for us to be sculpted and share their stories for the film. To reimburse some of the costs of materials for the sculptures. To print some of the incredible photographs of the artists and the people being sculpted. To cover additional costs involved in creating the sculptures, film and photographs plus some nibbles and wine at our screening. If we raise more than what is required to cover our costs the remainder will be donated to the 4 charities involved. Have your Portrait Bust Sculpted by Sculptor Scott Eames. Scott will sculpt you (or a friend/colleague/family member) during a live sitting, it will then be cast for you to keep. Michael Errey Photography will capture this experience for you on camera with photo's for you to keep.